Fermented foods are an essential part of Japanese cuisine. Many staples of the Japanese pantry are made with fermented products including sake, soy sauce, mirin, miso, and vinegar. Kōji, Aspergillus oryzae, is the common ingredients in all of the products. 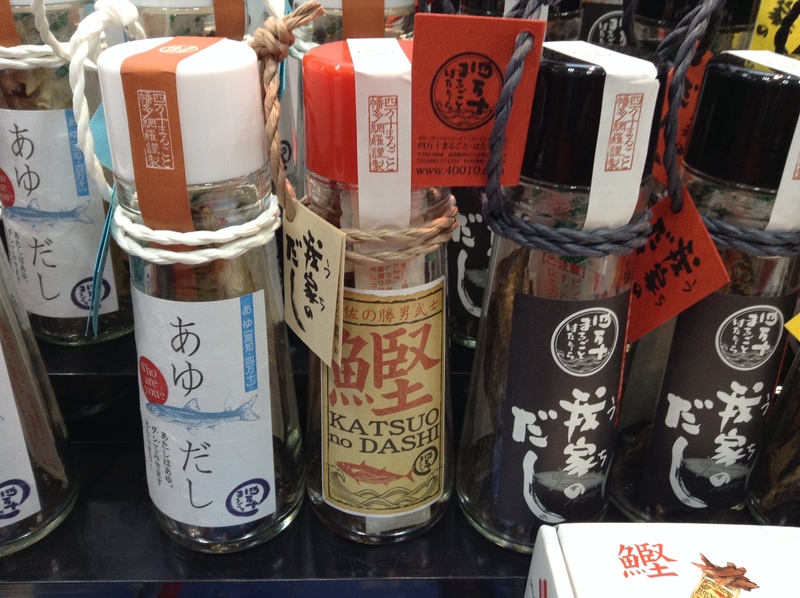 The popularity of kōji is evident with the shio (salt) kōji and shōyu (soy sauce) kōji products that are very popular in supermarkets. 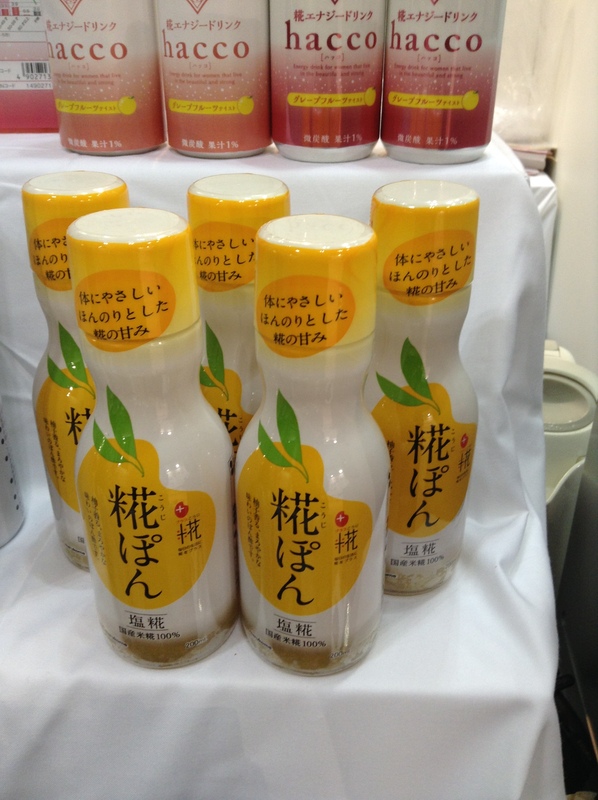 At this year’s Supermarket Trade Show in Tokyo we came across many new products made with kōji. Some of our favorites include this Kōji Pon from Marukome. Pon, short for ponzu, is a citrusy tart and soy sauce that is often used for hot pots or vinegared dishes. 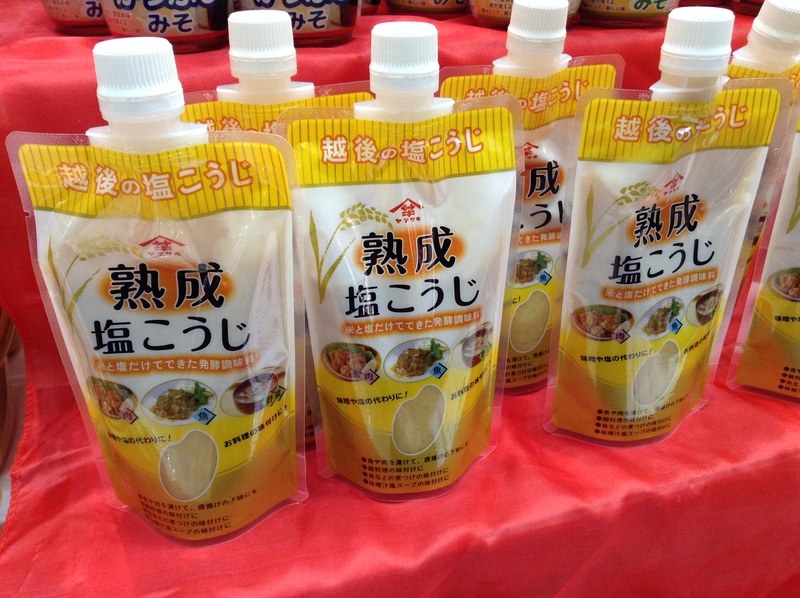 This product is made with kōji, so with added fermented power. It is already on the supermarket shelves so look for this to put on your next salad. This is an aged shio kōji that is aged, which rounds out its flavor and mellows it out a bit. It’s a new product that is not out yet. These are brilliant. Dried, smoked, and sometimes fermented fish in a jar. Simply add soy sauce which will increase in umami and use as you would use soy sauce. We have a similar product at home and love the smokey soy sauce. 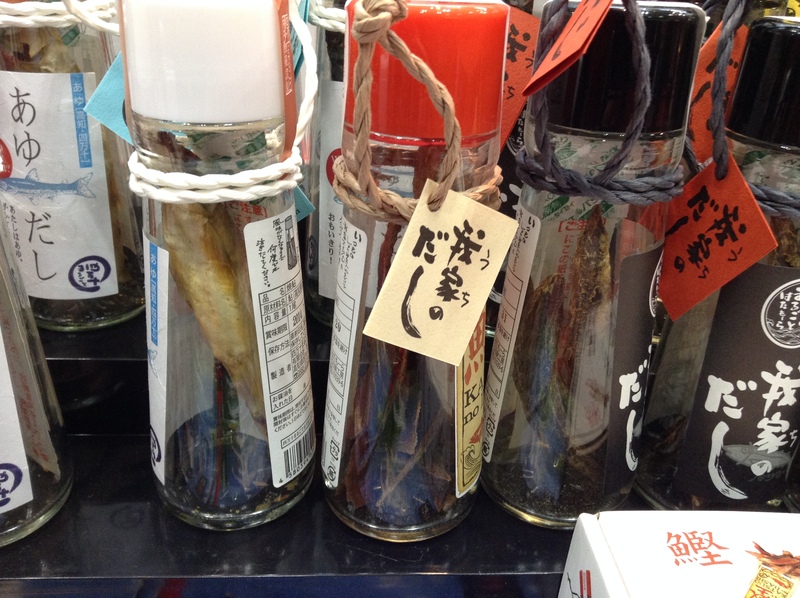 Here you can see into the bottles to see the smoked and dried fish. Some kombu as well which also adds another dimension of umami to the soy sauce. Nigori su, or unfiltered vinegar, is very interesting. It is made with saké lees from one of my favorite sake breweries, Dassai. True to its name it is creamy and has a much thicker texture than vinegar. It could be used for making pickles, salad dressings, or for making rice for sushi.